On my travels in Asia I’m always drawn to Buddhist temples and, their practitioners and the rituals. I find it very interesting to see the many similarities in the different Buddhist traditions and countries as well as the many differences. 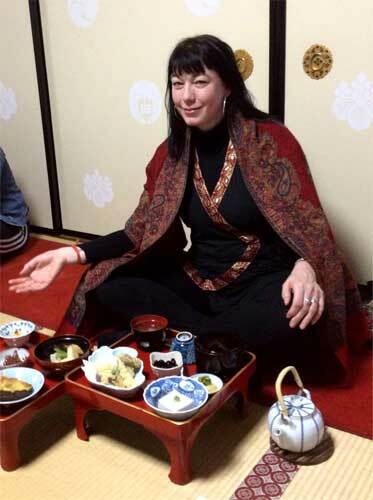 So when I made my very first trip to Japan earlier this year my main purpose was to not only visit the Buddhist temples but also stay in them and join the ceremonies. 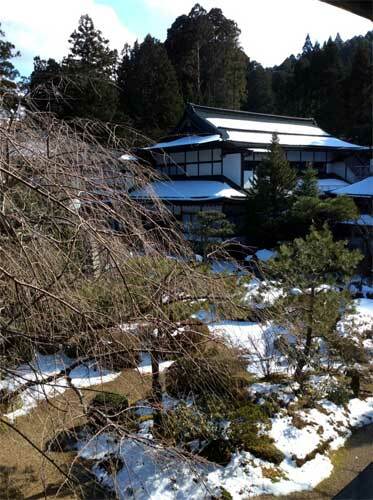 Mount Koya, or ‘Koya-San’ as the Japanese call it, is the holiest place for Japanese Buddhists. It’s a small mountain village that houses a university dedicated to Buddhist studies as well as 120 temples, some of which offer lodging to pilgrims. 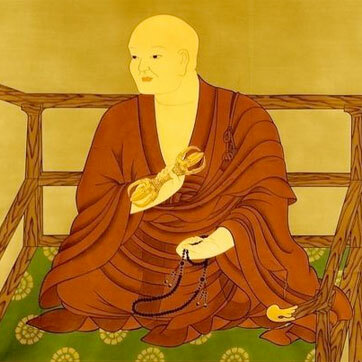 Kukai (Kobo Daishi) introduced the Vajrayana tradition of Buddhism in Japan, named Shingon. 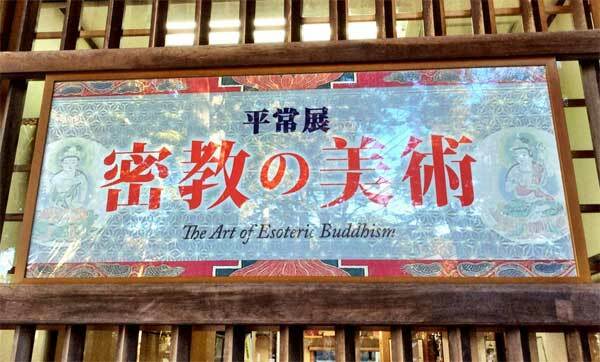 In Koya-san’s small museum you can find some superb examples of ancient art that is made within this esoteric tradition. 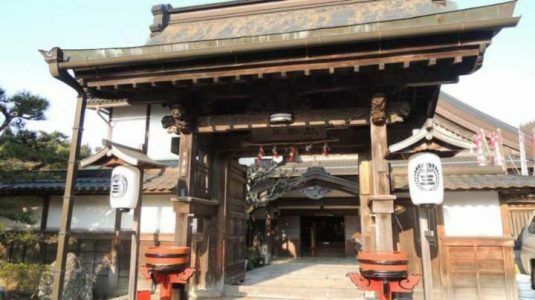 Shingon-shū is one of the major schools of Buddhism in Japan and one of the few surviving Vajrayana lineages in East Asia. Originally these esoteric teachings spread from India to China through monks (such as Amoghavajra and Vajrabodhi) who traveled along the Silk Route. Later, under the auspices of a Buddhist monk named Kūkai, this esoteric form of Buddhism flourished in Japan. 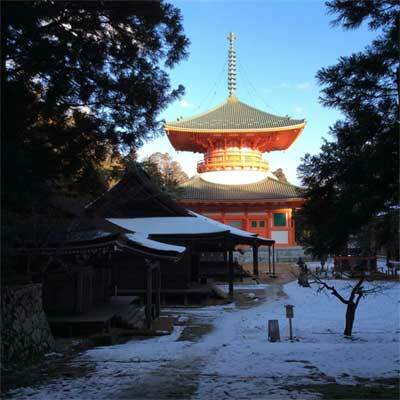 In 817 the great Buddhist monk Kobo Daishi Kukai selected Mount Koya as the training center for Shingon Buddhism. 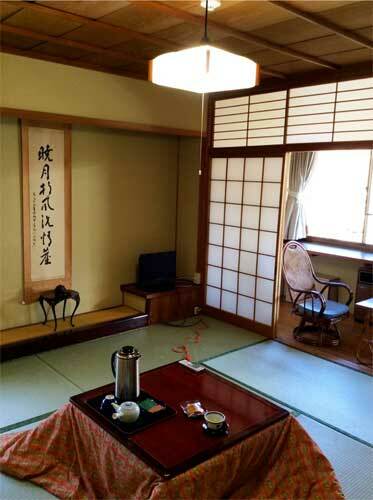 He set up his headquarters at Koya-san and was soon made abbot of To-ji temple. 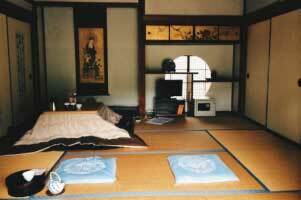 Kukai spent many years of his life meditating and teaching at Koyasan. 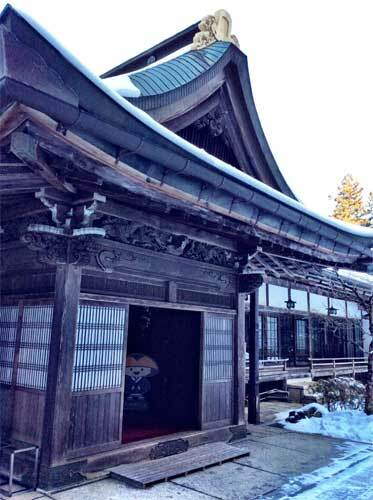 Since then hundreds of works of religious art were collected and preserved at Mount Kôya. 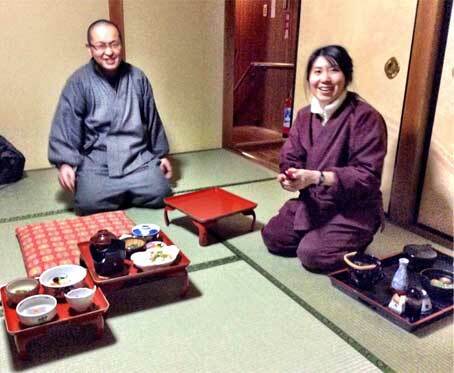 The Japanese Buddhist school of Shingon is something of an anomaly. It is a Mahayana school, but it is also a form of esoteric or tantric Buddhism and the only living Vajrayana school outside of Tibetan Buddhism. 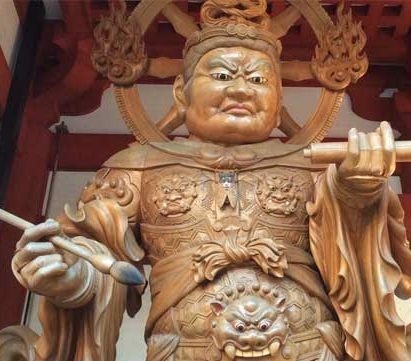 The word Shingon comes from the Chinese word Zhēnyán, meaning ‘True Words’, which in turn is the Chinese translation of the Sanskrit word ‘mantra‘. On Mount Koya I stayed in 2 different temples, the first days in the Jimyo-in Temple, a small temple complex with a handful of monks and one assistant. None of them spoke English, so it was a very authentic temple experience, and at the same time that was a pity as I had so many questions that I wanted to ask. 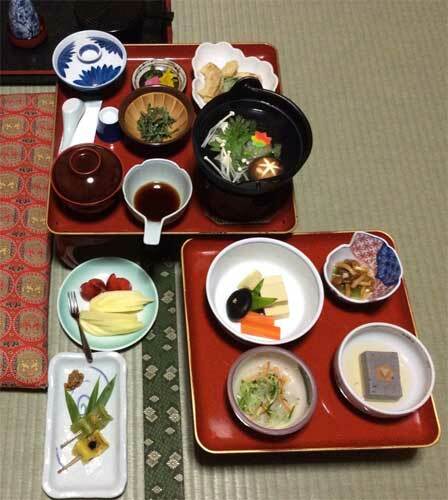 I was given a beautiful authentic Japanese style room with hot tea waiting for me (which was great as the room was cold, as it was still winter time in Feb), and amazing food that was served (see below) and in the early mornings I joined the Buddhist meditations and rituals with the monks. 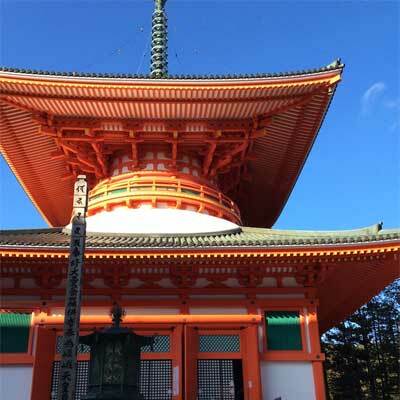 The second temple that I stayed in was the Kumagaiji Temple, a larger temple complex, and more familiar with hosting foreign pilgrims. The assistants spoke very well English so I got to ask all the many questions that I had. Both temples were an amazing experience to stay in. The Kumagaiji Temple is known for their fire ceremonies, and I was so fortunate to experience this in the early morning, with the main lama of the temple. Through the centuries many of the Buddhist temples in Koyasan -that are traditionally made from wood and paper- were completely burned to the ground, and now I can totally understand why. 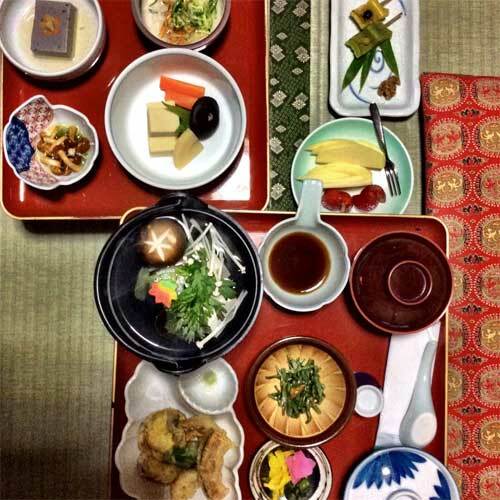 Shingon Buddhism is very well known for the special temple food that they offer, which is all super delicious and completely vegetarian (even vegan), so no animals had to suffer for it whatsoever! The temple food is brought into your room in the evening and in the early morning, and is placed on beautiful small tables from red laquer. The table that is placed further away from where you sit represents an offering for the (your) ancestors, that you think of when you eat the food on it. Each meal consists of at least 10 different dishes placed in beautiful small porcelain bowls, each dish is a piece of art in itself. 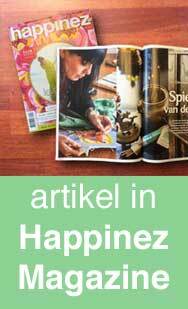 Such joy – not only for the mouth but also for the eye! A pot of healthy green tea is sitting next to it and you can order a small bottle of warm or cold sake (rice wine) to drink with your food. Some of the dishes that are served are: sesame tofu, sauteed mushrooms and spinach, a mix of fried vegetables, soup, pickeled vegetables, and a bowl of rice as well as soy sauce to eat it all with. As dessert there’s some beautifully sliced fruits. As you really take the time for a meal that is prepared with such care and time, and as you eat in silence and with chopsticks you become very conscious of each bite that you take. The whole experience is like a very special ritual, that makes you very grateful.